Fiola Mare’s Kennedy Lounge, Washington D.C. Nothing is ever perfect, except when it just sort of works out. After a long week at my new restaurant in Northern Virginia, I am a little late to dinner with friends at one of the best restaurants in Washington, D.C.
Fiola Mare knows how to prepare Italian-style seafood. I already know that I'm getting the monkfish steak all'Anconetana with octopus, clams, mussels, langoustine, shrimp and San Marzano tomatoes in a saffron brodetto. Add a spaghetti-and-clams starter and you can imagine that gustatory satisfaction was achieved fairly easily on this muggy night in the nation's capital. All that was needed was a place not too far away to cap the night with a cigar and beverages. The suggestions started flying: We could go to Shelly's Back Room, or maybe Civil Cigar Lounge. They all felt too far away, though, so I just asked the server, and the answer solved our dilemma. Fiola Mare has a small bar called Bar Piccolo, and just outside the doors of the bar is the Kennedy Lounge, which, its website informs, "has comfy couches, blankets and warmers in chilly weather, and features our exclusive cigar selection." The cigar menu includes a Davidoff Special "R" ($27); a Padrón Serie 1926 No. 9 Maduro ($30); and a Montecristo Epic Robusto ($20). The cigars provided by one of my dining companions turn out to be a tad more exclusive on this evening: Partagás Serie E No. 2 Cuban cigars. Three of us take a perch on the comfortable-enough outdoor loveseats on the patio and light up. I order a dark rum of Trinidadian origins and proceed to enjoy the rest of the night. I am in Washington these days more often than I used to be. I need no special reason to go to Fiola Mare for lunch or dinner. The Kennedy Lounge makes it that much easier to choose to go to the restaurant for lunch, dinner or just a cigar. But do yourself a favor if you go for a cigar and eat something. You won't regret it. Search our database of more than 17,000 cigar tasting notes by score, brand, price range, country, size, year and more. Cigars and More El Segundo is perfectly located just south of Los Angeles International Airport. 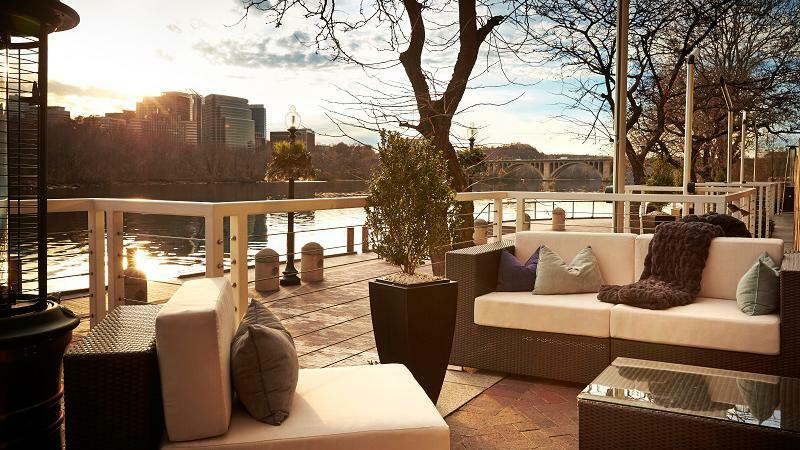 One of four top-tier luxury hotels in Newport, Hotel Viking just so happens to also be the best place to enjoy cigars in town. There’s something about the bygone-era charm of Augusta National that makes smoking a cigar at the Masters a tradition unlike any other.